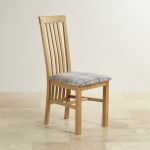 The Slat Back Natural Solid Oak & Check Granite Fabric Dining Chair is a perfect partner for our solid oak dining tables. 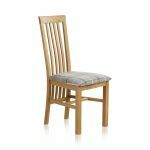 With its contemporary, yet versatile design it makes a refreshing addition to the traditional family dining table. 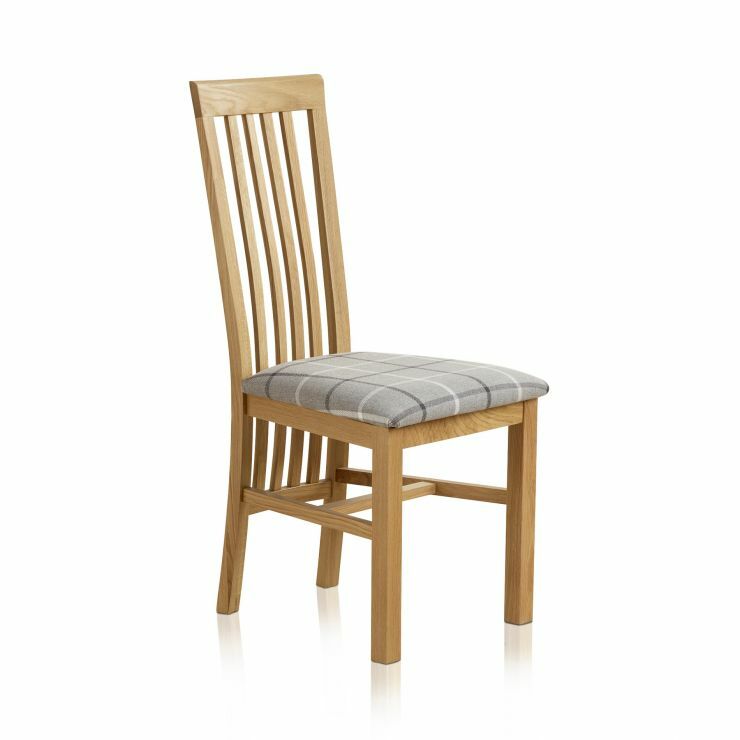 Boasting a subtly arched back and widespread slats, it supports your spine from every angle. 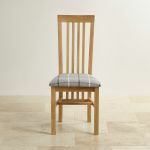 The chair itself is born out of the best quality oak, with woven grains to create the sturdiest of structures. To compliment the natural hues in the oak, the wood is polished with our specialised subtle wax.